Want to make your home more eco-friendly? You needn't fork out on installing solar panels and you can do much more than just recycling your rubbish. Recent advances in material production technology mean that you can introduce sustainable and recycled materials into every area of the home (even that lair of comfort, the bedroom). These products are leading the way in protecting the environment – saving you money in the process. A good duvet is a must for sleeping well, and an item many householders are prepared to research extensively and invest in. Now, recycled bottles aren't exactly what comes to mind when choosing luxury bedding, but The Fine Bedding Company has managed to create just that, a luxury duvet made entirely from recycled PET. Even the cover is made from recycled plastic – you can't get much more eco-friendly than that! And how does the duvet feel? 'Silky soft', according to the company. The Eco Duvet costs from £45 for a single. vGoose down pillows are the ultimate in bedding luxury; they also are hideously expensive and problematic for the eco-conscious (and out of the question for vegans). Brand new Smartdown technology uses recycled plastic which is spun to create an airy material that mimics the properties of real down. The pillows are then hand-finished and encased in sustainably produced cotton. The Nimbus Pearl Smartdown Pillow is £45 from The Fine Bedding Company. Duette have been leading the way for sustainable and energy-saving blinds for some time now. 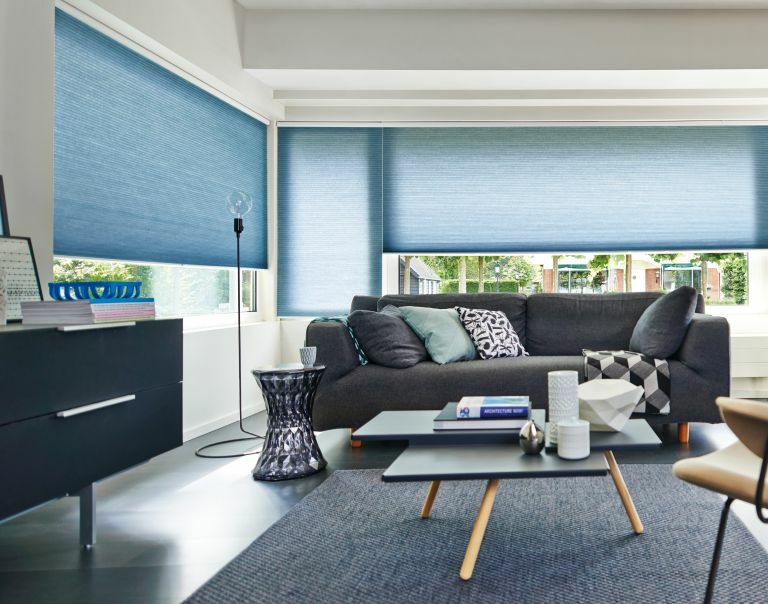 The benefits of picking these blinds are undeniable: not only are many of them made from 40 per cent recycled polyester, but they also help reduce energy consumption in the home, preventing heat loss from windows by up to 46 per cent. Win-win. Rugs are some of the easiest products to make from recycled PET; besides, plastic makes for a durable finished product, which is especially important for front door rugs. The Hug Rug Barrier Mat Home is £39.99 from The Rug Seller and can be recycled once again when you're done with it.